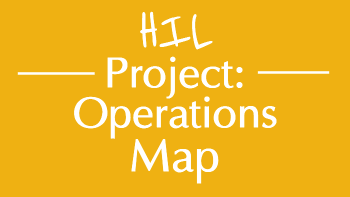 The Project’s goal is to develop high impact school leadership for school renewal with a focus on implementing the GELN Literacy Essentials in RNN elementary schools. 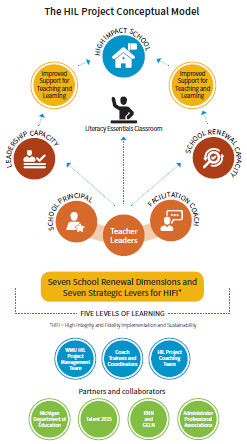 Applying 7 Dimensions of School Renewal and 7 High Impact Implementation Levers. Applying key leadership practices to school renewal and implementation processes (e.g. 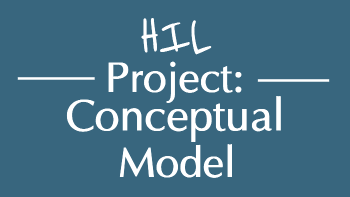 instructional rounds, evidence-based decisions, contextually appropriate implementation, performance assessment and feedback, capacity building, and multiple sources of influence). 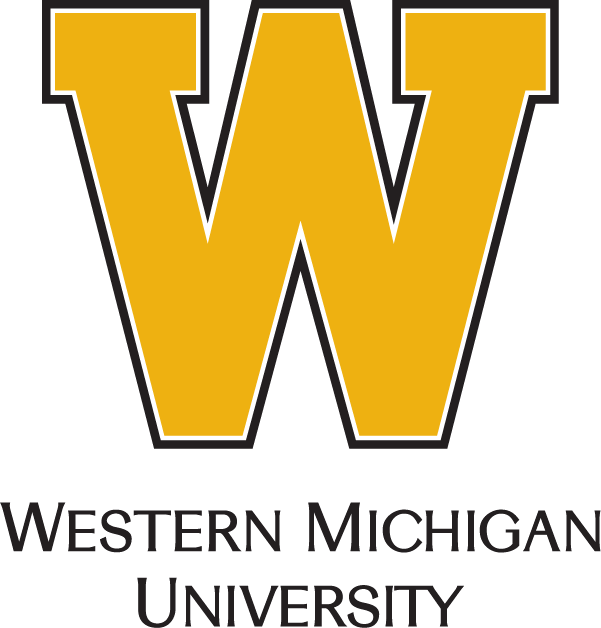 The HIL Project is funded by a three-year U.S. Department of Education grant award for $12.5, awarded to Western Michigan University (WMU), in collaboration with the Reading Now Network (RNN) and the MAISA General Education Leadership Network (GELN). 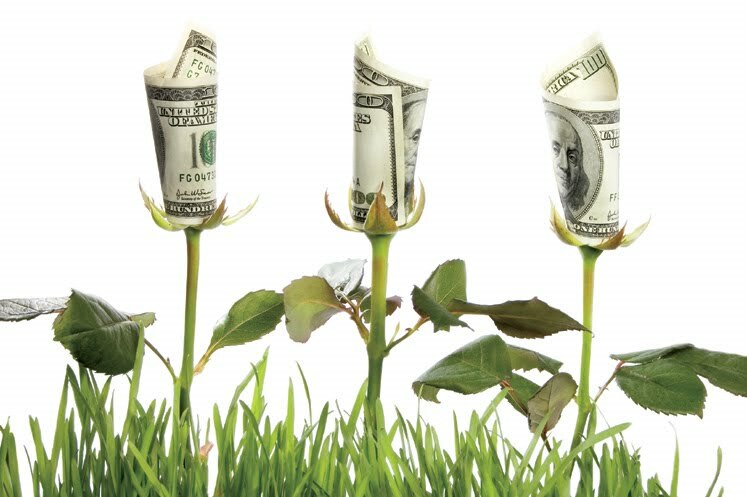 In early 2018, Guido A. and Elizabeth H. Binda Foundation, awarded the Ottawa Area ISD a $240,000 grant to support classroom libraries and reading areas in all HIL Project Cohort A schools in Calhoun County. 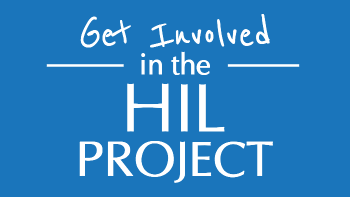 Learn how you can become part of the HIL Project work.